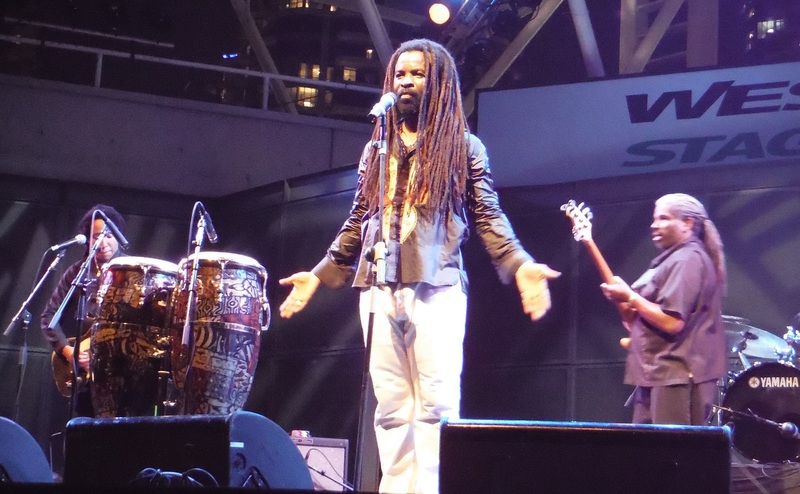 Singer/songwriter Rocky Dawuni performed with his band at Harbourfront last night. 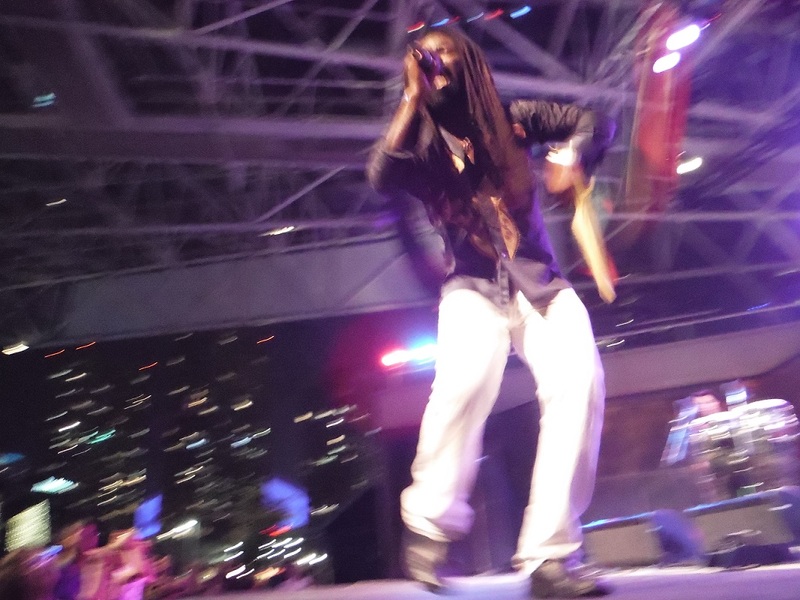 All day and evening was rainy but those of us who made the trek down to Lake Ontario got swept up in the Ghanaian music artist’s “positive vibrations”. 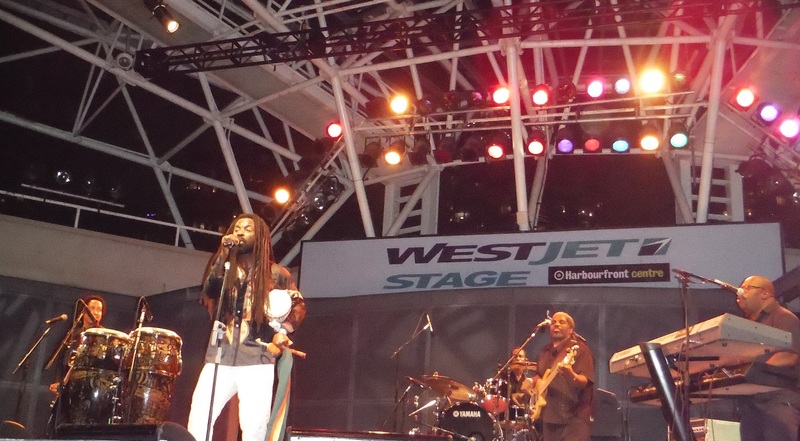 Rambunctious joy and passionate sincerity were the hallmarks of Dawuni’s personality, and for style and content the influence of Fela Kuti and – most especially – Bob Marley, made for a Best of Summer 2015 experience here in Toronto!